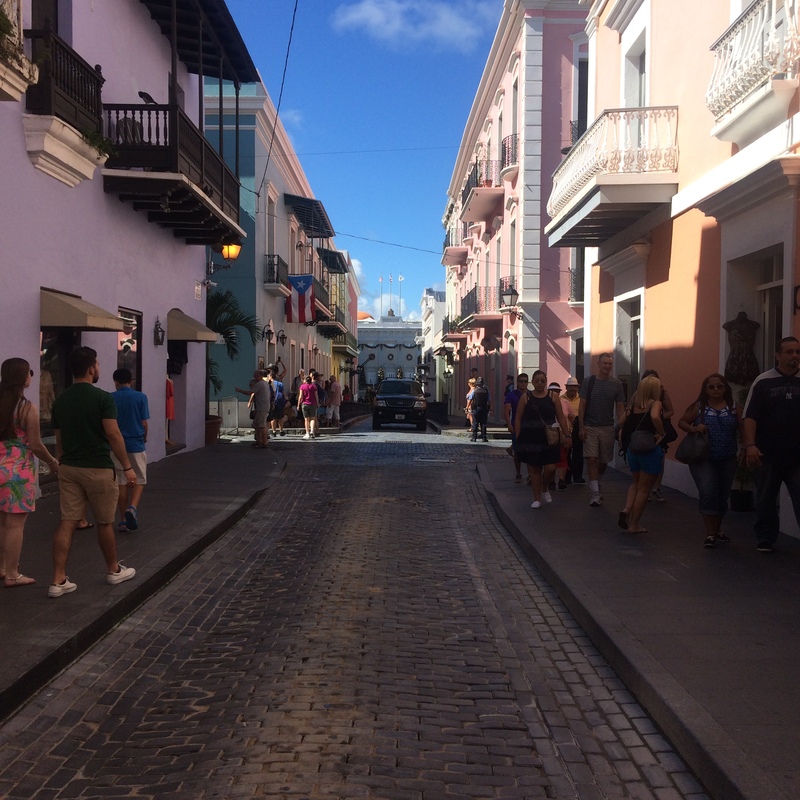 The cobbled Caribbean streets of Old San Juan are mesmerising. Lined with historic buildings, painted in playful pastel shades, everywhere you turn, there is something new to take in. Founded in 1521 by the Spanish explorer Juan Ponce de León, San Juan was the second city to be discovered in the New World, and is still one of the most important Caribbean ports. Thanks to the number of buildings that have been declared National Historic Sites it is a life-size museum of colonial architecture. A city packed with culture, arts and crafts, outstanding cuisine and a beautiful coastline, it is a vibrant mash-up of Spanish and American influence. El Morro, or Castillo de San Felipe del Morro, stands guard at the entrance to San Juan harbour. The 6 level fort was built in the 1500s to defend the newly discovered San Juan from the rest of the world. The impressive structure took over 200 years to complete, and has walls as deep as five metres. Breathtaking views looking back down to San Juan and out across the North Atlantic. 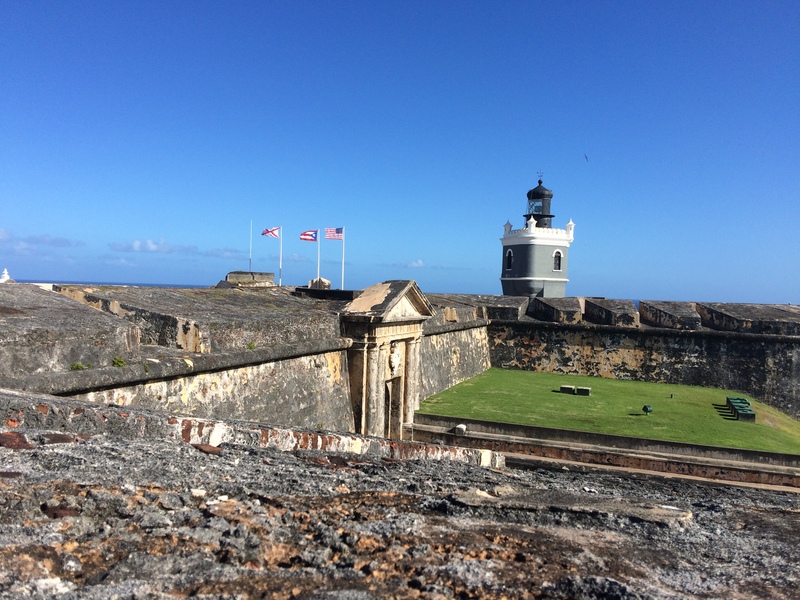 A short ten minute walk from the heart of Old San Juan, tickets are only $5 and give you entry to San Cristobel Fort as well – a shuttle bus runs between the two. Take time to explore the streets of Old San Juan. Bursting with colour and culture, you’ll find a mix boutique shops, museums, cafes, restaurants and hotels. Stroll down to the front and you’ll find a busy port with colossal cruise ships, bars and restaurants. Rumour has it there’s a fantastic salsa club behind The Sheraton Hotel. 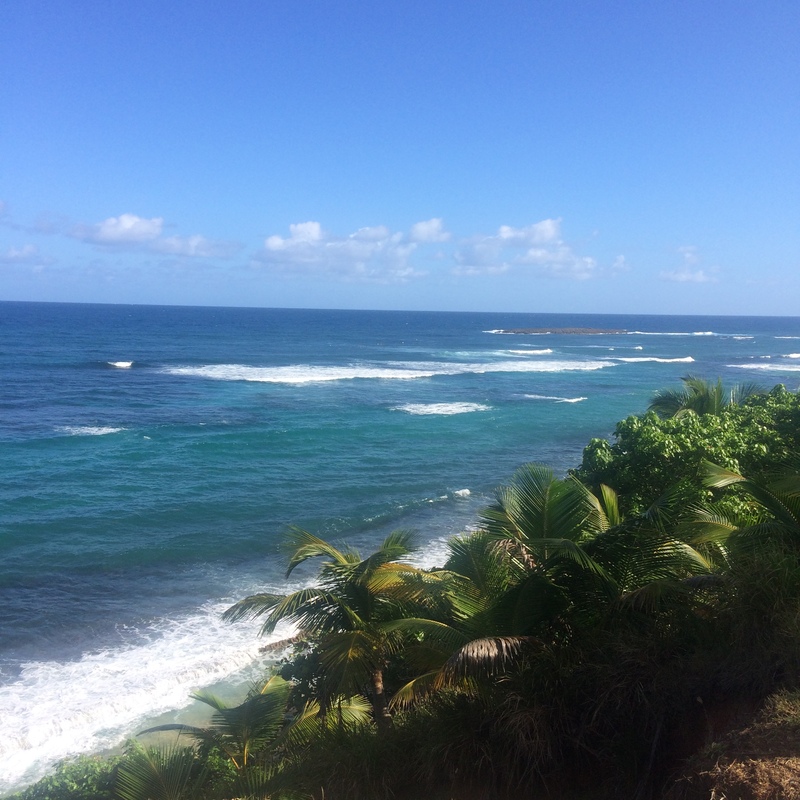 A walk from Old San Juan to the El Condado strip is a beautiful way to explore a tiny part of the Puerto Rican coastline. Roughly 4km, Route 25R along the northern coast is well paved and has plenty spots to stop and take in the view, and watch the surf. Pass El Parque Tercer Milenio and El Fortín de San Gerónimo del Boqueró, then walk across the bridge and onto Ashford Avenue where you’ll find yourself in the heart of El Condado strip. Guests staying at Hotel El Convento can enjoy access to the five star beach front Vanderbilt Hotel San Juan. 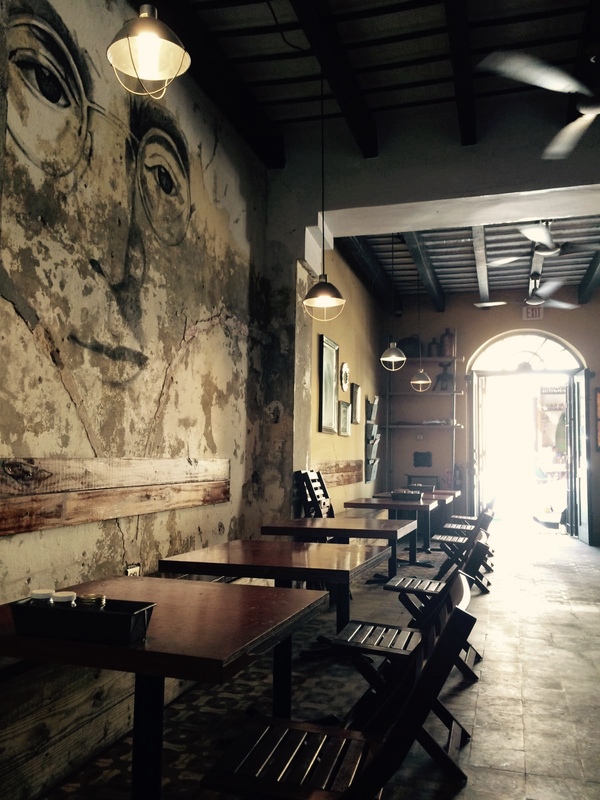 You’ll find La Barrachina on Calle Fortaleza in Old San Juan. 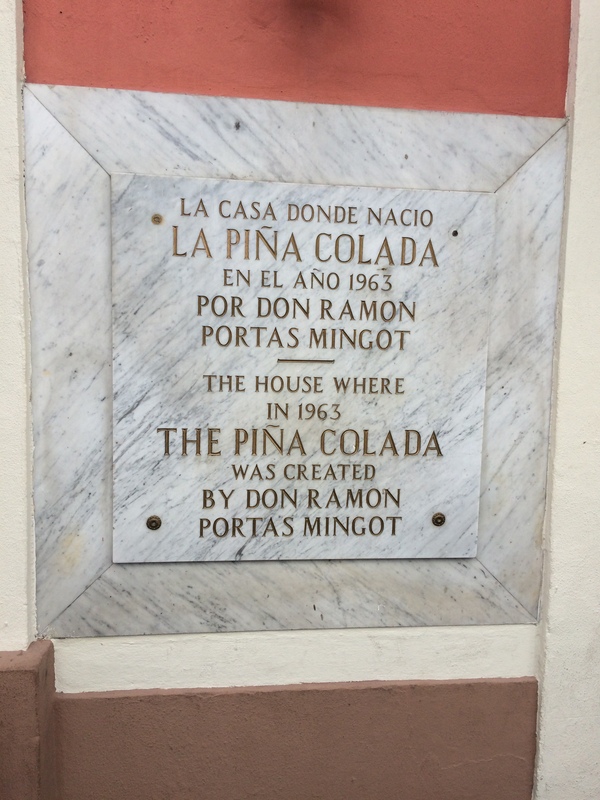 It’s been on the go for over 50 years, and claims to be home to the Piña Colada – you’ll see the prestigious plaque outside. Since 1963 it’s been serving up delicious Spanish dishes with a Puerto Rican influence. A Piña Colada to start goes without saying, and dishes such as grilled Mahi Mahi or shrimps, rice and mixed root vegetable are popular. This restaurant isn’t going to give you a taste of Puerto Rico, but that’s no reason not to make sure it’s top of your list. 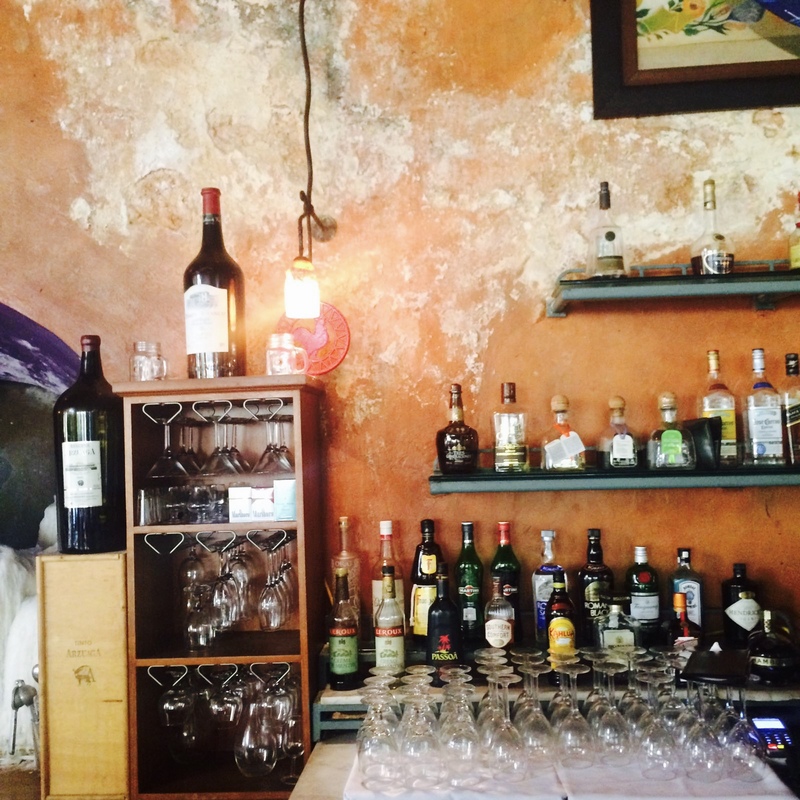 311 is a French restaurant on Calle Fortaleza, a few doors down from the well known ex-pat restaurant Marmalade. It’s a fabulous example of ‘less is more’. 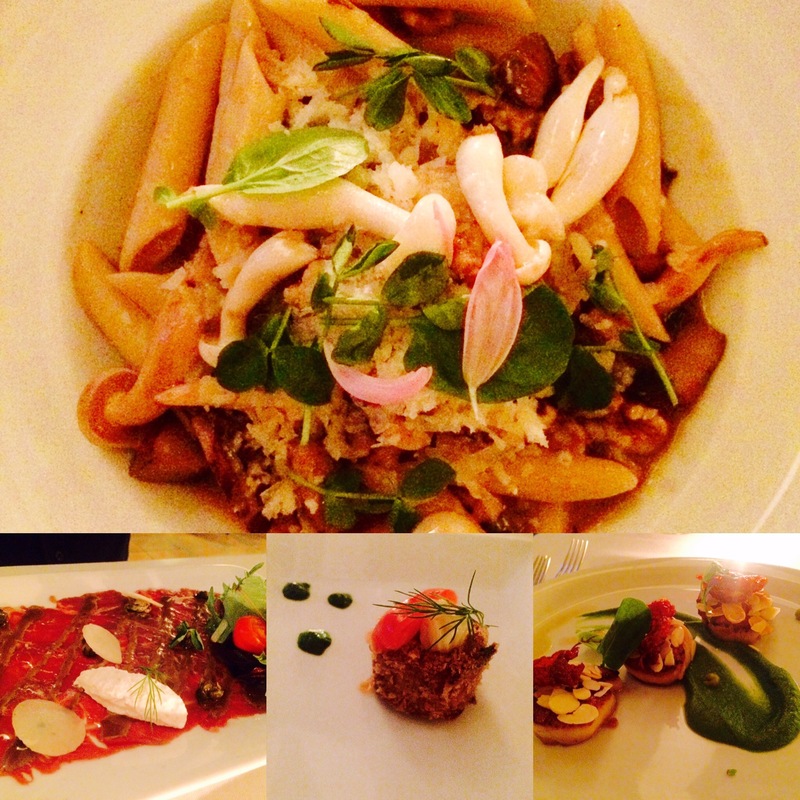 Classic French dishes with absolutely brilliant flavours and impeccable execution. Juicy scallops topped with almonds and crispy proscuttio were the star of our meal, and my pasta dish with wild mushrooms took a seemingly simple sauce to next level, and then some. Booking is advised – everyone else in town also knows how good this place is. La Mala Vida doesn’t look much from the outside, but the not many of the best places on Calle San Sebastian do. Here they serve a gazillion different flavours of Mojito (I recommend the passionfruit) alongside awesome empanadas, tacos and buritto bowls. It’s super casual food, meant for sharing. El Pictotea is a Spanish tapas restaurant and bar in Hotel El Convento. It’s the perfect place to grab a lazy lunch or a relaxing dinner. It’s own entrance on Calle Cristo means it is popular with San Juan locals and hotel guests alike. The menu is small, but all the classic tapas dishes feature. The manchego drizzled with honey is a favourite, as are the fried calamares. If you’re just looking for a drink, you can perch at the bar and enjoy the buzz from the hotel courtyard below. Tempted? You can fly with Norwegian Air direct from London to Puerto Rico. Flights from £699 return. Read about our stay at Hotel El Convento.